Le Mariee' : How Important Is Having A Pro Makeup Artist On Your Wedding Day? How Important Is Having A Pro Makeup Artist On Your Wedding Day? Hello to all the brides to be and congrats! 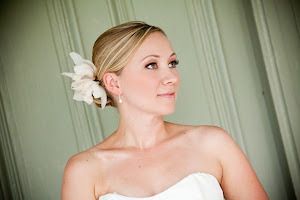 Ok, so the question is,,,just how important is it to hire a pro makeup artist for your wedding day? Answer? Its MAJOR!.... weddings from small intimate affairs to those that are on a larger scale, there is one thing all weddings have in common and that is the focus, which is ..drum roll..... the bride!!!! And when I say the bride, I am referring to the way she looks! from the gown to the hairstyle, shoes, jewls. And finally yes.. One very important factor that is too often been ignored by brides which is unfortunate. Sometimes this very important responsbility is left up to someone like "cousin Jane" who worked at the local makeup counter for a dept store for a year and insists she can work her magic for free. Now, while this saves money , the end result may not be what you had in mind,YIKES! And, ask yourself...How will "Cousin Jane" take it when you try to let her down or give her direction? Never a good idea to mix business with pleasure with family or friends on your wedding day needs, or have them volunteer to act as wedding vendors, this has the potential to ruffle feathers or even a train wreck. Not to mention the fact that she or he may not have the appropriate products or range of colors needed for all who desire services. I highly doubt they will go out and splurge on a kit for your wedding day, since this is a one time deal. Are you ready to purchase hundreds of dollars in makeup and brushes ect? One of the first things that comes to mind is, how will your makeup look in yours photographs!? You had no doubt taken the time to find the perfect photographer to capture all of your special moments throughout the entire day from the getting ready portion ,to the last dance. So, wouldn't it make sense that you look amazing in those photographs? Also, may I kindly point out that its important to include your bridal party in makeup services if possible so that the women surrounding you look amazing as well, feel confident and enjoy being pampered along with you! Its a great gift as well! You can let everyone know in advance that your gift to them is makeup services on the big day! some may not be able to afford this, or may already be spending on the dres ect or even the hair stylist,so in the end you get the benefits of everyone looking wonderful in your wedding photographs! A makeup artist, a good one that is, will know what products to use,what the latest trends are, how to use these products and applications. They will have an up to date portfolio showing their work as well as setting up a trial run/consult with you, so they can work their magic and show you their customer service style,expertise, and take any special requests, comments ect you may have, and guess what? They normally won't mind because this is what they do for a living! They should love what they do and let it show! And a good makeup artist will want your input. Your the only one who can honestly say, I like this but I would like to change this, after all, your makeup should be customized to fit your needs and desires. This is the one day you will be photographed the most, this is the one day you will wear the most amazing gown you have ever worn, your queen for the day, why leave your makeup to chance? Factor makeup into your budget. Sometimes, you may have a few makeup trials in order to find the right makeup artist for you. Do you like the artists work? How about personality? How are communications, quick replies to emails and or phone calls? If not.. huge red flag!!! Do you click? Yes ,you heard me, do you click? You do want to get along well with the person you have trusted your face to on your wedding day, it will be all the more enjoyable if you do and quite relaxing! Something you will really look forward to, as will your bridal party! Pricing.... Ok so there are new artist's out there or a few that are experiencing slow business, therefore the trial run may be free of charge or even applied to your wedding day balance if you book. But, this is not a good reason to go with them, you need to love the look, get along great with them and feel they are the one for you! And there is the old saying.. "You get what you pay for" smile :) Your makeup artist can set the tone for your day, and should enhance your occassion. Normally, the trial run cost money, the artist is investing their time, products, and sometimes even traveling to you. They value their time , as they should, and guess what? they value your time as well, so they will be punctual and will make the most of the time with you.If they are seasoned vet they do this on the regular. Important to know, that if you do not book, they know someone will, if there artistry is that good,So there wont be any sales pressure. The makeup Artist's bed side manner so to speak, and their products are awesome, up to date and they educate you while applying the makeup. These are some true signs of a pro. They may also offer to take photos for you with your camera and know exactly what angles and lighting flatter you most. If you make suggestions, they will listen, and if they feel this is not in your best interest they will kindly tell you why...Important trait in a makeup artist. So,when your wedding day arrives, feel confident! invest in yourself! If there is one day in your life you should and deserve to, its your wedding day! Your beautiful face ,is what the groom looks at while the vow exchange takes place and your face is in almost every single photograph...Please don't allow yourself to be washed out or anyone else in your bridal party! 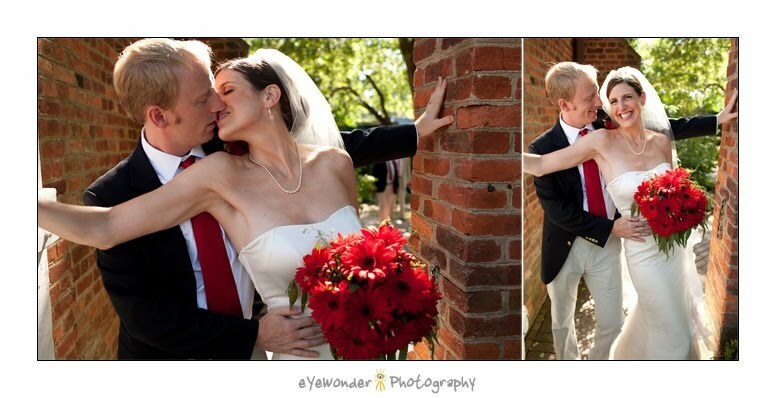 Avoid having to feel badly while looking at your wedding photos over the years to come. Love your gown! your hair! and think,,,what was I thinking? Why did't I invest in a pro bridal makeup artist? So..now tell me, How important is a having a bridal makeup artist to you now? I wish you well on your personal journey in finding the perfect makeup artist for your wedding day!!! very informative great content & easy on the eye Great Job Lori!!!! wholesale cosmetics This is usually very educative content material AS WELL AS nicely to get a great change. It\'s amazing in order to learn that several folks even at this point identify How to provide an submit!